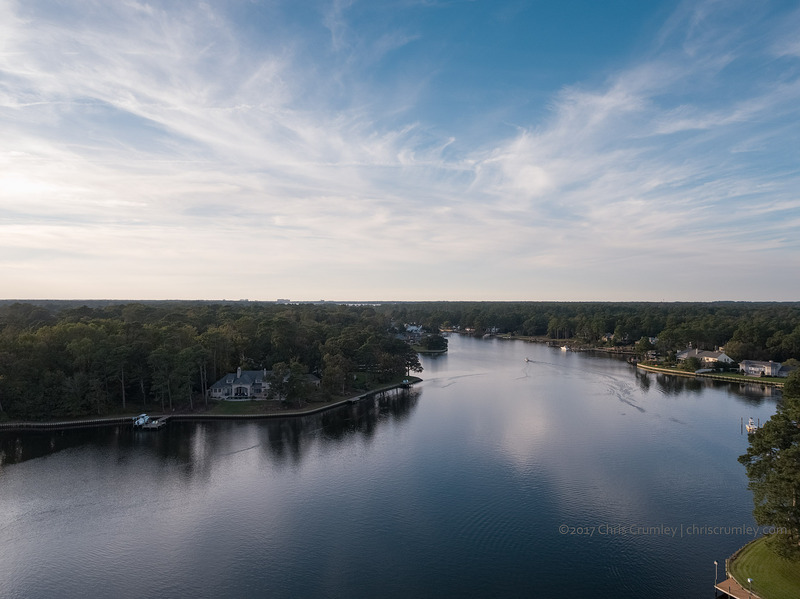 Crystal Lake aerial near dusk, Virginia Beach, VA at about 150' AGL This is a bit of a generic image but I'm pleased with the detail produced by the DJI X5S camera with an Olympus 12mm f2.0 optic. As nice as this one is, it's about to be replaced by a DJI X7 camera with a Super 35mm sensor and carbon fiber 16 and 50mm optics. The Super 35 sensor is used in many motion picture level cameras.